The lovely ladies in the Canadian Beauty Bloggers network have teamed up with Bio Seaweed Gel to share a look at their Summer 2016 Unity All-in-One Colour Collection Uptown Lights! 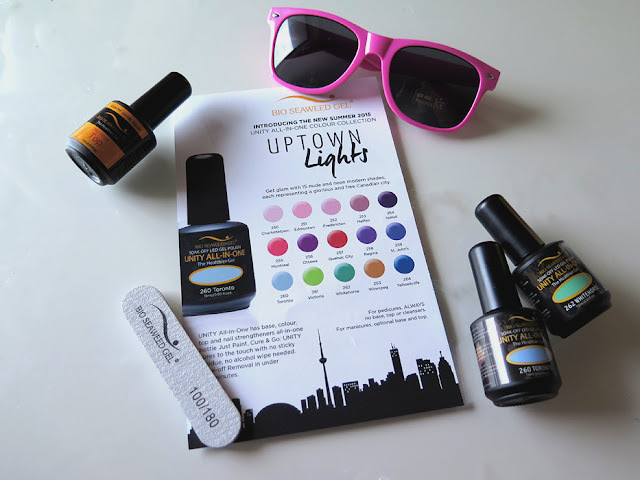 This collection is based around fun and vibrant Canadian cities and includes a range of shades from brights to neutrals to neons. I have two shades to show you along with a look at Bio Seaweed Gel's No-Wipe Top Coat, a tutorial of how to use your Bio Seaweed Gel polishes (without an LED light!) and some simple and fun summer nail art. Let's get right into it! Clean and file your nails - you don't want any oils left on your nails or the gel might not adhere properly and you'll get lifting! So wipe down with acetone or alcohol. Apply a thin coat of your polish shade. Make sure you clean up any polish on your skin or cuticles before you cure it! Expose nails to the sun and leave for 3 to 4 minutes. I found 3 minutes in a beam of sunlight coming in my bedroom window at 10am was just fine for this. Repeat layers of polish and curing until you've built up the colour to your desired opacity. If you want apply one coat of BSG's No-Wipe Top Coat. You just need a bit as it will spread quite a bit! And then cure in sunlight for another few minutes. 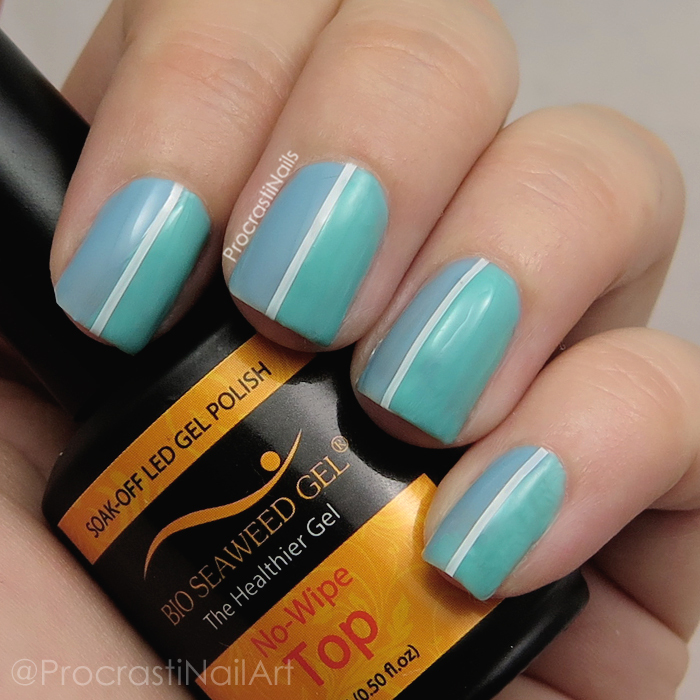 When it's dry you won't have to deal with any stickiness like you would with a regular gel topcoat! And that's it! I found removal super easy as well, I just soaked a cotton ball in acetone, placed on my nail, wrapped some tinfoil (or nail tip covers) around each nail and then left it for 5-10 minutes. The whole thing almost pops off, and the rest just takes some firm wiping pressure. I picked up Toronto because duh! I live in Toronto, so I had to have it! It's a soft and smokey light pastel blue that I think could have used a bit more shaking before application - I found it a bit watery and difficult to build up. That being said it's a lovely shade! I adore how Whitehorse looks on me! It's the perfect bright turquoise and it's perfect for summer. I'll definitely be putting this on my toes for the beach next year! I was still getting the hang of the application (make sure your first coat is dry before trying to apply another) so there's a bit of rippling on the edges, but I don't mind. One other component of our CBB/BSG collaboration was that we wanted to create some summer-inspired nail art to feature the colours we got. Our looks will be shared on instagram and the winner will get to host a BSG giveaway as well as being featured on the CBB. It's a simple colour block look featuring some white striping tape for contrast and embellishment. :) I really like how the white pops off of the blue and green. It's a perfect clean and classy nail look, one that I would rock for a day of sitting on the patio drinking sangria. I imagine some of you might want to try some of the Bio Seaweed Gel polishes for yourself after all of this, and if so I'm pleased to let you know you can use the code PROCRASTINAILS for $10 off at http://shop.bioseaweedgel.com! If I had one issue to mention it would be that you might notice Whitehorse is a bit different on the nail than it is on the bottle swatch - apparently this is a common BSG issue. So if you're planning to pick up some shades for yourself make sure you look up the swatches online first to see what they really look like! That's it for today, but let me know what you think! I'd love to hear if you've tried Bio Seaweed Gel polishes before and if so what your favourite shade was! Both colors you showed and swatched here are lovely. So neat that you don't need an LED light for them too. Very information and helpful review. These seem really neat! I've always wanted to try gel polish for vacations, but don't really want to invest in a light so these could be a good alternative. It's so cool that these can cure in the sun! polish that cures in the sun...such a tease for someone who lives on the coast! 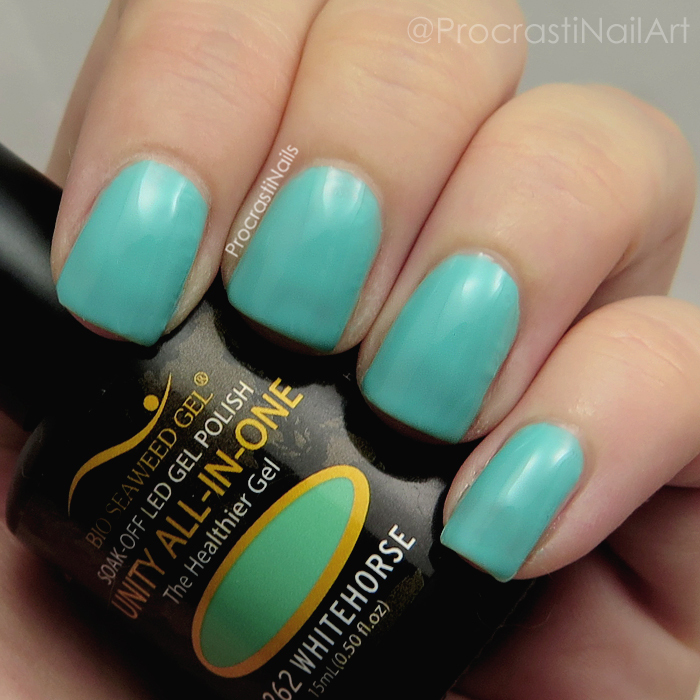 I really like Whitehorse and the colour block mani! 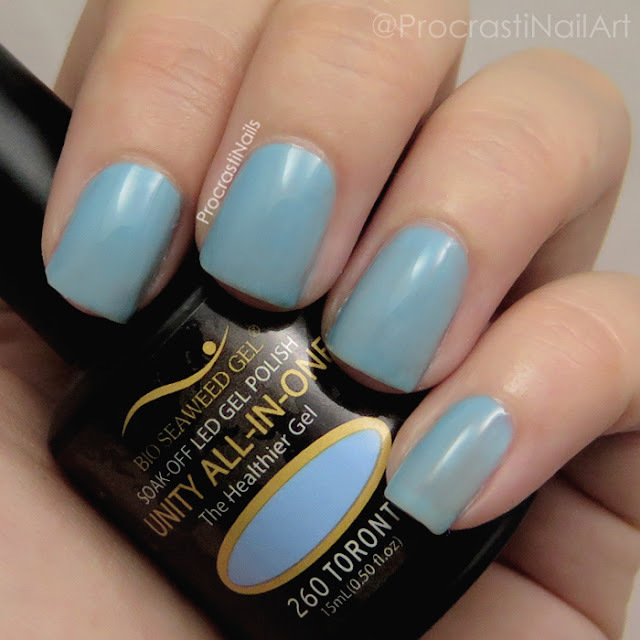 I had the chance to try a couple cure-in-the-sun nail polish from a European brand but I wasn't totally satisfied with them. Whitehorse does look amazing on you! And so does the colour blocking. Love it! Cute collection!! Love those colors!! Love he color block mani you created with both shades! I thought I really liked both colors and then I saw the color blocking you did and realized I was in love. How interesting to learn of a gel brand that cures in sunlight - I've never heard of such a thing before. What a super fun color and what a neat concept. I never heard of such a thing. Does seaweed also play a role in the polish or is it jus the name? Beautiful colors. I love the nail art you did, simple but so lovely!